Remember those fashionable Gucci aliens from a few months ago? The Italian brand released cryptic teasers on its Instagram under the hashtag #gucciandbeyond, featuring robots and intergalactic creatures all dressed in the AW17 Gucci garms, obviously. The aliens even sparked controversy when a CSM student said that they had been copied from images he created. Creative director Alessandro Michele didn’t waste time clarifying that it wasn’t actually the case and now it has all been cleared up the official campaign has been released. 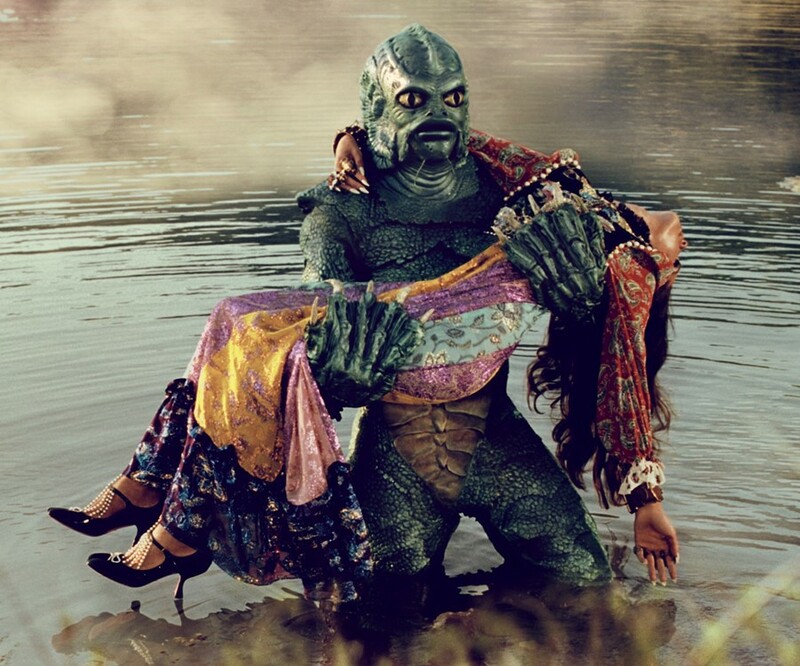 Shot by Glen Luchford, the campaign takes inspiration from 50s and 60s sci-fi films like Creature from the Black Lagoon and Forbidden Planet – try your best to name them all. The model aliens wear huge hats, clashing vintage prints and bejewelled eyewear as they are captured on different landscapes – even fighting a giant dinosaur in one shot. For those hoping that the aliens would mean a full-length feature movie, you’ll be pleased to hear that there is a video too – also by Luchford – that sees all of the characters beaming on to spaceships and wandering among far-off planets.